[A]s a pro bono member within a Defence team at the International Criminal Court (ICC), I found the multiple day training course on useful. importantly, always be prepared ahead of time. organized by The Organization for Security and Co-operation in Europe (OSCE) and the Kazakhstan Prosecutor General’s Office (PGO). and perfecting errors on the trial record for purposes of appeal. against humanity, before international tribunals, and in particular the Extraordinary Chamber in the Courts of Cambodia (ECCC). assist in their application to Macedonia’s new criminal procedure code, which is civil law based with adversarial modalities. consisting of two three-hour sessions on the general obligations and responsibilities of a lawyer, with a particular focus on conflicts of interest. Trainer, From February to March 2016, provided intensive cross-examination training for the Bosco Ntaganda Defence team at the ICC. Skopje, Macedonia, organized by the Organization for Security and Co-operation in Europe (OSCE) mission to Skopje. 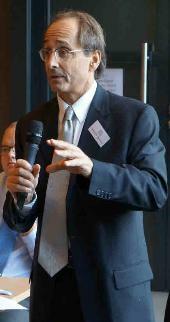 Maastricht University, and delivered a presentation titled Lawyer Ethics and the work of the ICC Disciplinary Organs. To view the agenda, please click here. Before the International Criminal Tribunal for the Former Yugoslavia (“ADC-ICTY”). The topic was “Evidence and Objections”. International Criminal Tribunal for the Former Yugoslavia (ADC-ICTY) in The Hague, The Netherlands. trainers in to familiarize experienced Macedonian lawyers trained in the civil law system with the principles of evidence and evidentiary objections. Mock Trial from 23 – 28 June 2014. Organized a one-day ethics training focusing on ethical issues during pre-trial, trial, and appeal on 8 November 2014.
hosted by the Association of Defence Counse (ADC-ICTY). seminar, Red Lines and Game Changers – The Legality of Unilateral or Collective Use of Force in Syria, see: http://michaelgkarnavas. Lecturer, On 24 January 2014, delivered a lecture entitled Judicial Ethics in the International Tribunals, at the ADC-ICTY's 12th Defence Symposium. of Interest, and Due Diligence: the Diligence that is Due. For more on various lecture topics and legal commentary see: michaelgkarnavas.net/blog. Instructor, Benjamin N. Cardozo School of Law, Intensive Trial Advocacy Program (ITAP), 1991 to 2013. Taught trial advocacy skills to law students. Project, Office for Democratic Institutions and Human Rights, OSCE. Grotius Centre for International Legal Studies. responsibility, protection of prisoners, and general principles of international humanitarian law. prosecutors and lawyers to be trainers in advocacy skills relevant to the new Macedonian Criminal Procedure Code. Trainer, cross-examination seminars in Croatia, sponsored by the Croatian Bar Association, 2010. 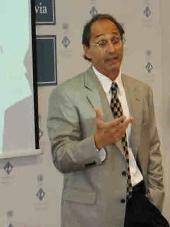 Trainer, trial advocacy seminars in Bosnia and Herzegovina for lawyers in 2004, 2006, 2007 and 2009.
international criminal law in the USA, Europe and Asia. facts and conclusions of law, the role of the defence, international principles and standards of fair trial rights, and general principles on the Rule of Law. practical trial advocacy manual specifically tailored to the then-applicable procedures in Cambodia.